Mike Graniczny lost his first home building company when the Great Recession gobbled up all the capital he’d put into land. He started anew with Sublime Development in 2011 and tapped into an underserved market for luxury move-up homes in Chicago’s southern suburbs and northwest Indiana. He expects to close 15 homes this year and 30 in 2016. Q: Since restarting your home building business, are you approaching land deals differently? A: With the banking system today, it’s almost impossible to get a loan [for land]. There are few financial institutions willing to finance any real estate deals, so we’re making deals with landowners. With one development we’re doing, we approached the developer to finance it himself. Some of our homeowners are buying their own lots and are coming to us for design. We approach people with lots for sale by owner. We’ll ask them if we can advertise one of our homes on their lots, so we can sell our house to help them sell their lot. It’s a win-win situation. I feel it’s more important to be creative now than it was in 2008. Before, there was just one way that all the builders built. They all went to the local bank and all deals were structured the same. Now we have three or four types of contracts based on each situation with the owners of the land. Q: What changes have you made to your product or any other aspect of home building since the recession? A: We’re building higher-price homes. My sister, Jacklyn, who is an interior designer, went to the Chicago International Academy of Design and used to work at the Merchandise Mart for cabinetmaker Christopher Peacock. Then she went to San Francisco to run his showroom. She is very familiar with the high-end luxury homes out there. Two years ago Jacklyn joined the team. We made her a partner, and now we stand out from other builders. Every customer gets a professional designer, not the builder’s daughter who is calling herself a designer. Jacklyn helps customers spend the money where it is going to be seen. Her work is very modern, yet classic, too, so nothing gets outdated. 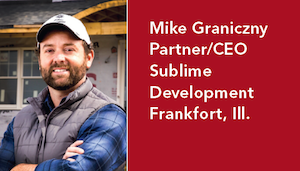 Q: How does Sublime Development differentiate itself from other builders? A: In my opinion, there is a generation of home builders that’s missing. I’m 34, my sister is 30, and my partner [CFO Brandon Raimondi] is 38. Our customers range between the ages of 30 and 40. 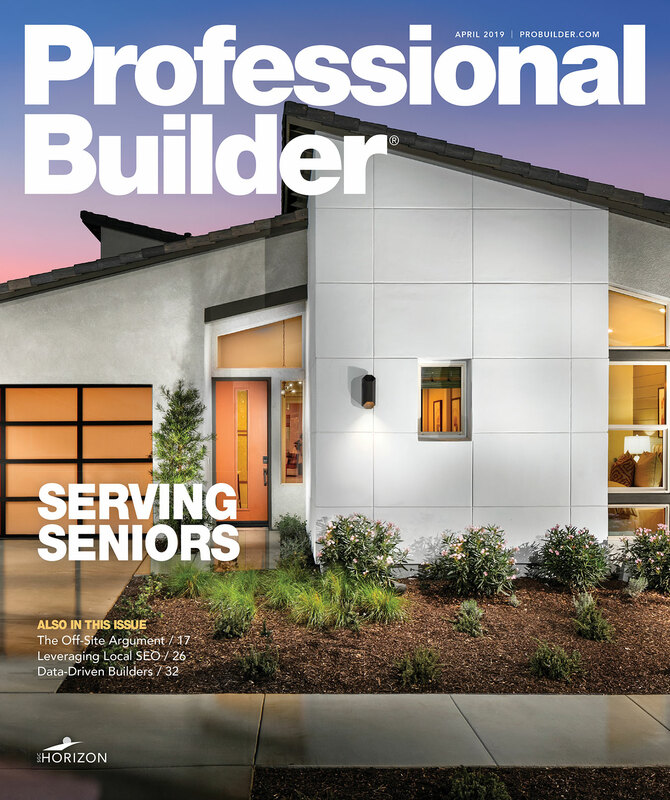 Most of the builders who survived the recession are 50 years-plus and many of them are not taking chances by doing anything new. They’re kind of stuck in their old ways, so we have a big upper hand with a young, fresh outlook. For example, our suppliers and vendors all have their builder grade of product that they offer to everybody. We’re not buying that. It’s not our standard. Sublime’s options go above and beyond the standard, so we’re not limited to five selections for counters, we have more than 10. We extended our budget so we can offer more amenities. Q: What can you tell us about your project in St. John, Indiana?